1 G None No Power Seat 1 G is a standard Business Class seat however, the proximity to the lavatory and galley may be bothersome. 1 H None No Power Seat 1 H is a standard Business Class seat however, the proximity to the lavatory and galley may be bothersome. 1 K None No Power Seat 1 K is a standard Business Class seat however, the proximity to the lavatory and galley may be bothersome. 10 A None No Power Seat 10 A is a standard Economy Class seat that has extra legroom however, the proximity to the lavatories and galleys may be bothersome. 10 C None No Power Seat 10 C is a standard Economy Class seat that has extra legroom however, the proximity to the lavatories and galleys may be bothersome. 10 D None No Power Seat 10 D is a standard Economy Class seat that has extra legroom however, the proximity to the lavatories and galleys may be bothersome. 10 E None No Power Seat 10 E is a standard Economy Class seat that has extra legroom however, the proximity to the lavatories and galleys may be bothersome. 10 F None No Power Seat 10 F is a standard Economy Class seat that has extra legroom however, the proximity to the lavatories and galleys may be bothersome. 10 G None No Power Seat 10 G is a standard Economy Class seat that has extra legroom however, the proximity to the lavatories and galleys may be bothersome. 10 H None No Power Seat 10 H is a standard Economy Class seat that has extra legroom however, the proximity to the lavatories and galleys may be bothersome. 10 K None No Power Seat 10 K is a standard Economy Class seat that has extra legroom however, the proximity to the lavatories and galleys may be bothersome. 27 A None No Power Seat 27 A is a standard Economy Class seat however, the proximity to the lavatories may be bothersome. 27 C None No Power Seat 27 C is a standard Economy Class seat however, the proximity to the lavatories may be bothersome. 28 E None No Power Seat 28 E is a standard Economy Class seat however, the proximity to the lavatories may be bothersome. 28 G None No Power Seat 28 G is a standard Economy Class seat however, the proximity to the lavatories may be bothersome. 29 H None No Power Seat 29 H is a standard Economy Class seat however, the proximity to the lavatories may be bothersome. 29 K None No Power Seat 29 K is a standard Economy Class seat however, the proximity to the lavatories may be bothersome. 30 A None No Power Seat 30 A is a standard Economy Class seat that has extra legroom due to the exit in front. The proximity to the lavatories may be bothersome. 30 C None No Power Seat 30 C is a standard Economy Class seat that has extra legroom due to the exit in front. The proximity to the lavatories may be bothersome. 30 D None No Power Seat 30 D is a standard Economy Class seat that has extra legroom due to the exit in front. The proximity to the lavatories may be bothersome. 30 E None No Power Seat 30 E is a standard Economy Class seat that has extra legroom due to the exit in front. The proximity to the lavatories may be bothersome. 30 F None No Power Seat 30 F is a standard Economy Class seat that has extra legroom due to the exit in front. The proximity to the lavatories may be bothersome. 30 G None No Power Seat 30 G is a standard Economy Class seat that has extra legroom due to the exit in front. The proximity to the lavatories may be bothersome. 30 H None No Power Seat 30 H is a standard Economy Class seat that has extra legroom due to the exit in front. The proximity to the lavatories may be bothersome. 30 K None No Power Seat 30 K is a standard Economy Class seat that has extra legroom due to the exit in front. The proximity to the lavatories may be bothersome. 40 D None No Power Seat 40 D is a standard Economy Class seat however, other flyers tend to bump into this seat. 40 G None No Power Seat 40 G is a standard Economy Class seat however, other flyers tend to bump into this seat. 41 D None No Power Seat 41 D is a standard Economy Class seat that may have slightly restricted legroom due to the transition from 4 to 3 seats, causing this seat to be misaligned with the one in front which may be bothersome. 41 E None No Power Seat 41 E is a standard Economy Class seat that may have slightly restricted legroom due to the transition from 4 to 3 seats, causing this seat to be misaligned with the one in front which may be bothersome. 41 G None No Power Seat 41 G is a standard Economy Class seat that may have slightly restricted legroom due to the transition from 4 to 3 seats, causing this seat to be misaligned with the one in front which may be bothersome. 43 C None No Power Seat 43 C is a standard Economy Class seat however, the proximity to the lavatory and galley may be bothersome. 43 D None No Power Seat 43 D is a standard Economy Class seat however, the proximity to the lavatory and galley may be bothersome. 43 G None No Power Seat 43 G is a standard Economy Class seat however, the proximity to the lavatory and galley may be bothersome. 43 H None No Power Seat 43 H is a standard Economy Class seat however, the proximity to the lavatory and galley may be bothersome. 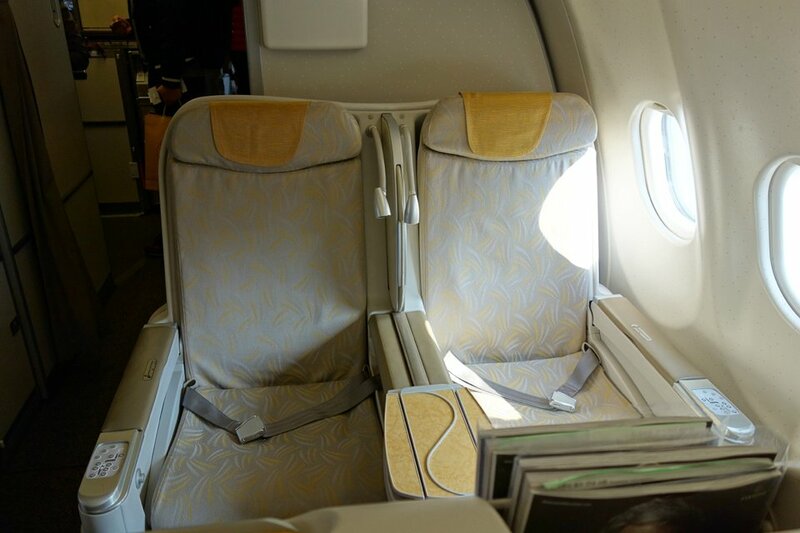 44 A None No Power Seat 44 A is a standard Economy Class seat that has limited recline. The proximity to the lavatory and galley may be bothersome. 44 C None No Power Seat 44 C is a standard Economy Class seat that has limited recline. The proximity to the lavatory and galley may be bothersome. 44 D None No Power Seat 44 D is a standard Economy Class seat that has limited recline. The proximity to the lavatory and galley may be bothersome. 44 E None No Power Seat 44 E is a standard Economy Class seat that has limited recline. The proximity to the lavatory and galley may be bothersome. 44 G None No Power Seat 44 G is a standard Economy Class seat that has limited recline. The proximity to the lavatory and galley may be bothersome. 44 H None No Power Seat 44 H is a standard Economy Class seat that has limited recline. The proximity to the lavatory and galley may be bothersome. 44 K None No Power Seat 44 K is a standard Economy Class seat that has limited recline. The proximity to the lavatory and galley may be bothersome. 5 A None No Power Seat 5 A is a standard Business Class seat however, the proximity to the lavatories and galley may be bothersome. 5 C None No Power Seat 5 C is a standard Business Class seat however, the proximity to the lavatories and galley may be bothersome. 5 D None No Power Seat 5 D is a standard Business Class seat however, the proximity to the lavatories and galley may be bothersome. 5 G None No Power Seat 5 G is a standard Business Class seat however, the proximity to the lavatories and galley may be bothersome. 5 H None No Power Seat 5 H is a standard Business Class seat however, the proximity to the lavatories and galley may be bothersome. 5 K None No Power Seat 5 K is a standard Business Class seat however, the proximity to the lavatories and galley may be bothersome. Both classes feature Audio and Video On Demand, which allows you to listen to a variety of music. Both classes feature Audio and Video On Demand, which allows you to watch a variety of television and movies. 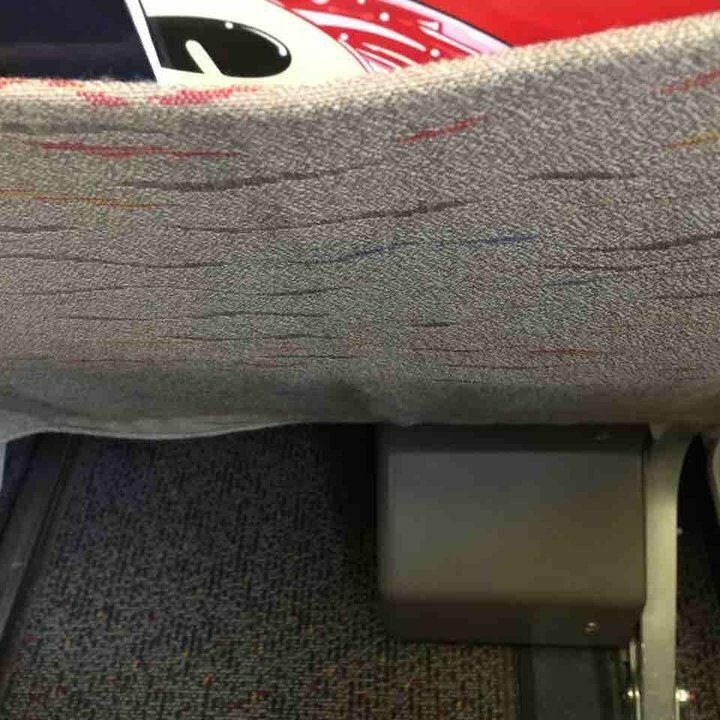 Each Business class seat has a regular 110V AC power port. Power in Economy is available on select aircraft. 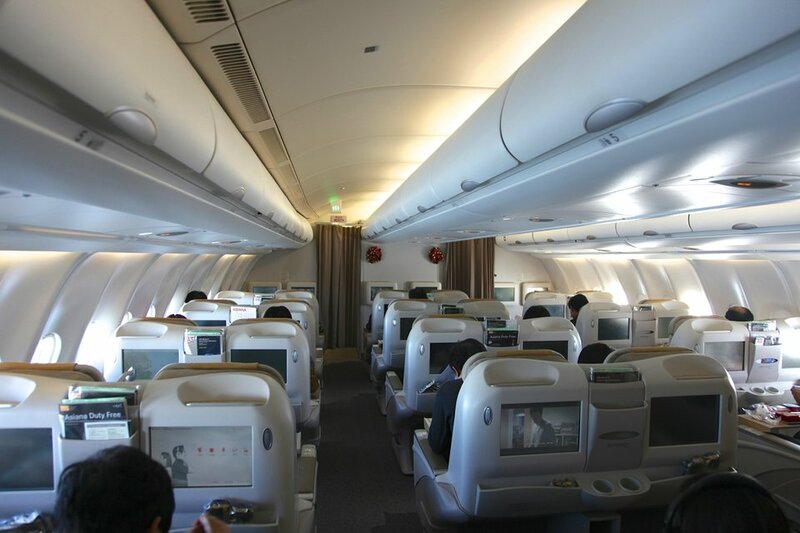 This version of Asiana's A330-300 is outfit in a two cabin configuration with Business class and Travel class seating, totaling a capacity of 290 passengers. The A330-300 is optimized for mid-to-long haul routes. 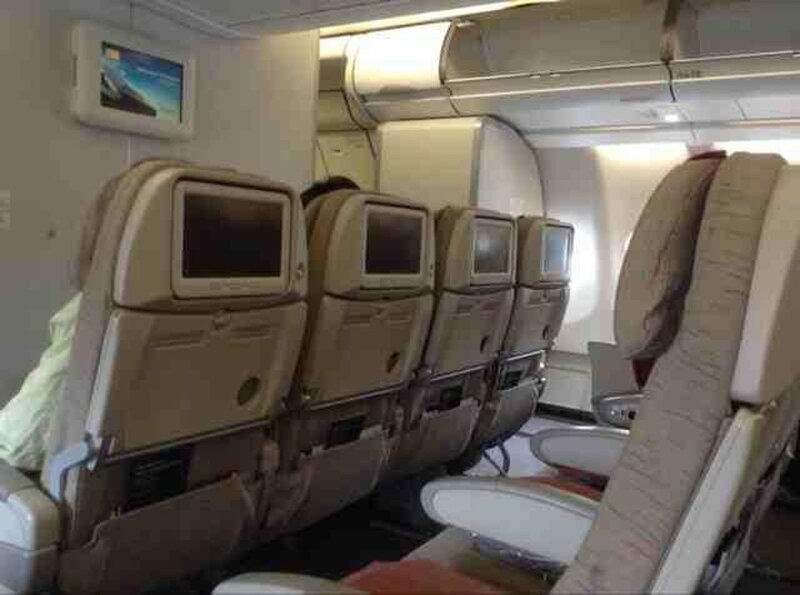 Poor quality business class seat on long haul international flight. Not a true lie flat seat. It is an angle flat seat as SeatGuru mentions with 168 degree recline. Very uncomfortable. Did not get any sleep on this 9 hour flight from Seoul to Honolulu. Would prefer to spend money on a different carrier with true lie flat seat. Food was tasty and service was exceptional. Too bad the seat sucked. 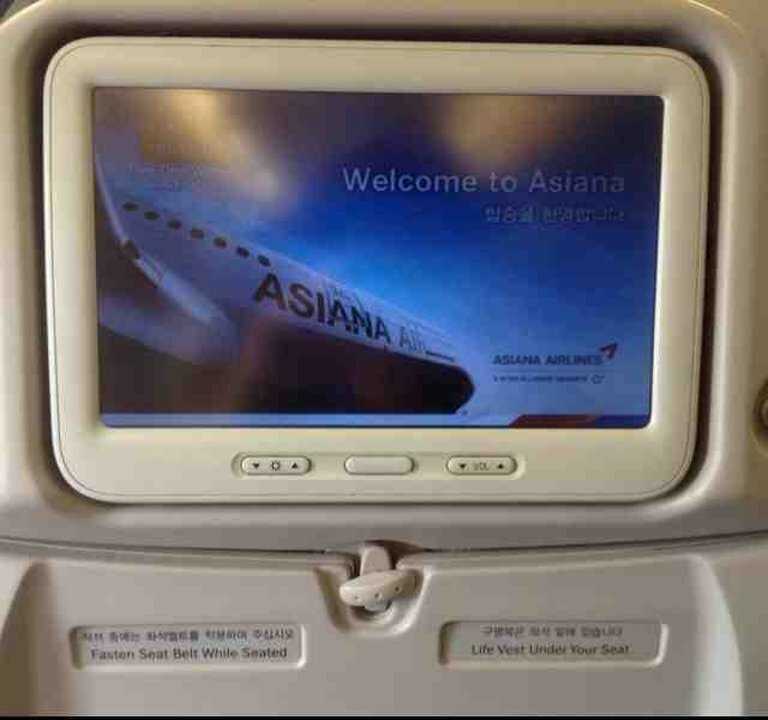 Asiana flies 2 versions of Airbus A330-300 V1.